The people, just like the landscape, are strong, austere, with big hearts and a great ability to welcome others, going so far as to make us feel right at home. The minute we got there, it seemed as if we had known each other our whole lives. 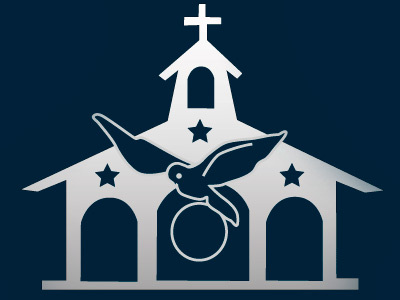 We were able to get in touch with numerous people thanks to the help of the parish priest, Father Oscar, who is doing a wonderful job apostolically with the flock that the Lord has entrusted to Him. He is a father and a shepherd for them all. The Lord gave us the grace to get to know all of these people, to be able to love them, to get to talk about Him. We have very fond memories of our trip. It was a gift from the Lord, because it is always a gift from the Lord to be able to spread His Kingdom. 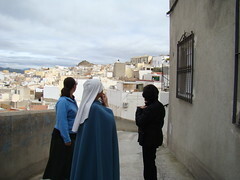 We learned a lot in that town in Almeria, where we never imagined that we would end up, but where the Lord brought us. There is no doubt that it is a town greatly loved by Our Mother Mary, who wants to pour out her graces there, however Our Lord wants. Our time there was very intense. Our goal: bring them to God; it was for that reason that we went. Our mornings were dedicated to visiting the elderly, the sick – and their families that take care of them – bringing them the Eucharist. 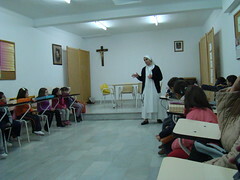 In the afternoon, we taught catechism to little kids. 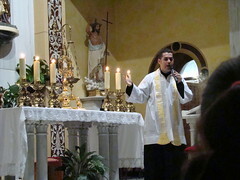 It was wonderful to be able to bring them before the Eucharist. And it was a consolation for us because it is the Lord that does everything. They were before Him; He could work in their souls. We hope that those moments remain in their hearts and that they do not forget them. The meeting we had with young people was also special; we really wanted to get to know them. They are good people who are looking for God, some of them without even knowing it. In their parish they have a worthy guide who takes good care of them. They listened, asked questions. 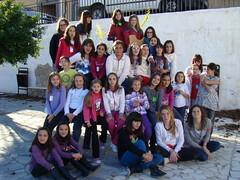 With the girls, we could share more experiences with them the next day because we had organized a get-together for young girls and teenagers. It was a nice day and very lively. Our last meeting was with families and young engaged couples. And without a doubt, that was a family atmosphere at the gathering. They really wanted to get to work and they are open to God. That afternoon, we said goodbye to the town from the top of a high mountain, which has an image of Our Lady of the Rosary, overlooking the town that she loves so much. The time we spent in Macael came to a close with the celebration of the Eucharist the next day, and a call to trust in God in the homily. On the way back, we talked about all the experiences that we had had. We were happy. We hope that Our Lord was as well. May all that He sowed there be for His greater honor and glory.